IS THE BLOGGING MARKET OVER SATURATED? Is the blogging market saturated? A topic that is a big focus for me at the moment. 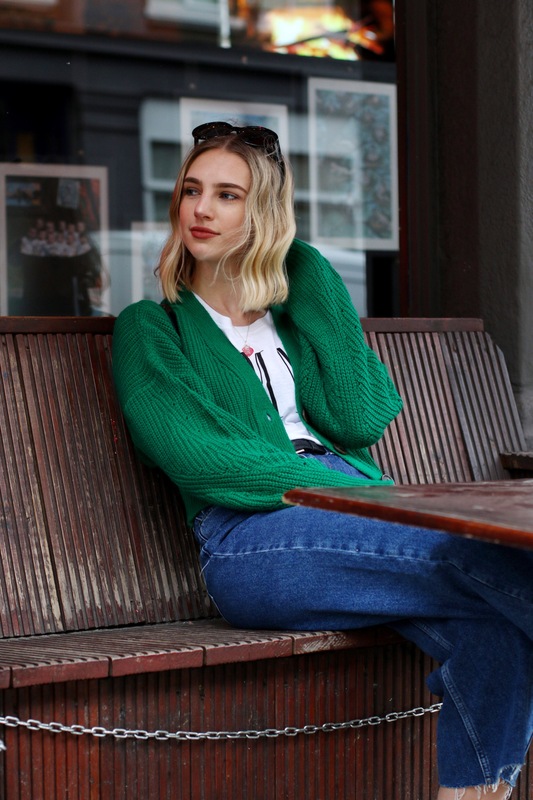 I’m currently working on my final year dissertation, which focusses on how to have a sustainable career in fashion blogging, and is something that I hope will be a helpful and informative piece of research for new and existing bloggers once finished. One of the main parts of my dissertation is researching the ‘threats’ to traditional blogging and market saturation is directly linked to this. So instead of waiting until my research is complete, I wanted to write this post to express my initial thoughts and hopefully provoke a discussion from others. I also recently wrote a post titled ‘Is JUST an outfit post enough‘ which features similar themes to this post, so definitely go and check that out if this topic interests you. So…onto life’s (or a bloggers) big questions- Do you think the blogging market is saturated? Do you think theres room for more bloggers? Do you think it’s harder now for someone to start out as a blogger? Would you like to know what I think? To put it simply, Yes, I do think the blogging market is saturated. It’s so easy to set up a blog and because it’s so easy to get into, so many people are doing it. However, that’s not to say that people shouldn’t be encouraged to start up blogging because there will always be a space on the internet reserved for you and your blog. "GET YOUR PRIORITIES IN CHECK"
"MAKING FRIENDS IN YOUR TWENTIES"
I agree that the blogging world is oversaturated and that wanting to make a career as a (on your own without being affiliated to a bigger company) blogger is getting harder and harder. Therefore it’s actually interesting to see the discussion around whether it’s ‘ok’ to start blogging with the intention to make it your job as apparently the factor of fun should be the initial instigator, while, you know, I think most people WANT to make blogging their job as it looks FUN or at least better than other job opportunities, so to make a clear dichotomy between earning money and fun is very black-and-white thinking or a narrow narrative of what ‘good’ blogging or a ‘good’ blogger should entail. Also, to get back to the saturation part, I guess what many people/bloggers are annoyed with a large percentage (or the percentage that gets covered most) who use a cookie cutter formula, continuously creating similar content -as it’s proved successful for other ‘big’ or ‘career bloggers’- which only further saturise the market or the label of blogger and potential opportunities for those who want to ‘fight’ for their position (either as they deem themselves not fitting within these mainstream flows or they feel their unique position is robbed or they are copycatted and not credited for their work). So yeah… Good luck with your dissertation! It sounds very interesting! I’m really looking forward to reading more on this subject having set up a new blog and hoping to make it work for me in the future!!! Keep up the good work! This was a really interesting post! I am a fairly new blogger having only set my blog up at the end of December 2017, I never set my blog up with the idea that it would be my career and I wouldn’t want this but I agree that a lot of people are trying to make a career out of it! I think sponsored posts are probably harder to come by now for bloggers because of how many of us there are and yes if a brand I loved offered to work with me I definitely wouldn’t turn it down but for me it is just a hobby! I think because the blogging community is so big there is always someone you can ask for help/guidance if you’re struggling too which is a really good thing, all the bloggers I’ve spoken to are really nice and always willing to help! First of all, I’d like to say that I totally agree with Dominique ! So many people now think that there’s only one way to make it big, to the point where you find them following the path of successful bloggers à la lettre like we say in french. And that’s where it becomes boring and over saturated. what I think they don’t understand is that the ones that had set the path to make blogging and fashion blogging more specifically a successful career and turn it into a full time job (I’m talking mega-influencers who are scoring big right now) just followed their gut since the beginning, they didn’t have any guide or a fast way to achieve over night stardom, they were just talking about things that passioned them and they were documenting everything the way they taught was best. This doesn’t mean that it’s the only way to do it. And to answer your question, no, I don’t thing that the blogging world will ever be saturated, as long as people wanting to start this journey embrace their individuality, their uniqueness and let their creativity take the lead. Everyone’s personality is different, and each and every person has something different to bring to the table, there’s basically enough room for everybody to add their two cents ! I hope I wasn’t rambling this whole time ! I’m loving these subjects honestly. Good luck with your dissertation ! I think the key difference here is consistency. There are over 1.8 billion websites on the Internet right now, but there are less than 200 million active websites. It IS easy to start a website, but it is a lot harder to manage it and to put a constant amount of time and effort into the design, content, marketing, SEO, and with engagement. This is perhaps why some might think that unless you go into it with the intention to make a career out of it you won’t make it? Either way I think so long as a blogger is true to their voice and who they are, and do their best to create the best product that they can they can find an audience amongst the 4 billion or so internet users out there. With an active, engaged audience you can build a personal brand that can then become profitable. I had actually never thought of blogging like that before. Whilst it’s lovely to think of as a career, l feel like l have other career interests but started blogging because l love writing and needed a platform where l can write and engage with others with the same passion as me. I think it’s an interesting dissertation topic and something that a lot of people would not research. It was great to read your thoughts Poppy. Thankyou! P.s. your blog is absolutely beautiful! I have a funny relationship with the term “You shouldn’t start blogging to create a career out of it”. These days, I think that’s incorrect. I think at the beginning bloggers had no idea that their passion projects could become a successful career path, so there was no original intention behind it. But I think NOW more than ever, if you want to make a career out of blogging you HAVE TO begin it with your mind set on the long term or a strategic plane as you said. Otherwise I feel like if you treat it as a hobbie, it might always be. Instead, if you treat t like a career you are passionate about and driven to, it can be just that! I feel like saying “You shouldn’t start a blog for it to be a career” is somewhat dismissive to the girls who are passionate about it being their careers. So I say GO ON GIRL! Treat your blog like it’s your EVERYTHING and make it work for you. Don’t be in it for the money, but be in it to do what you love as your job, which we are all entitled to do! I also think blogging has become increasingly difficult for those gals starting out now thanks to the algorithm as well. I often say I would love, love, LOVE to see how some of the top bloggers that we know and love would cope with this shift if they were starting out now alongside with us! I think the definition of a successful blogger is going to change drastically because of the algorithm. So we will soon see how that all pans out! Answering your question, I feel that starting a blog now is harder and both easier. It is harder because the competition is steep and you must stand out and be consistent in publishing quality content. It’s easier because a lot of things have been simplified and there’s a lot of bloggers out there to assist and give you tips on how to succeed and do better, which are things pioneer bloggers didn’t have. They had to learn all they know through very trying experience. Like with most things popular, it does get oversaturated. However it shouldn’t stop people from doing it. It’s a hard place to penetrate, but with the right motivation and hard work, it’ll be okay! Just hope people don’t lose focus on why they started in the first place ^^! For me, & I started in 2012 I think it’s a tricky thing to balance (authentity with ‘making it’) and it’s also a catch 22 especially with blogging and vlogging. Vlogging is crazily over saturated but is also now becoming an extra financial stream for bloggers because in my opinion blogging is harder to make money at than vlogging because as content consumers video is the more popular format. In terms of whether you can make either a career I think the answer is yes to both and relatively quickly if you actually stick to the tried and true methods – say yes to all brands, flatter them all, stick to the trends they want you to wear and do Zara hauls etc but I don’t see that as having longevity because none of it is truly original. Is the market oversaturated? Yes. Is most of it original and actually interesting? Not really, but bloggers and vloggers are like great background noise. As influencers we want to keep up with the Joneses of influencers make sure we have the same styles in our closets and a never ending rotation of looks to impress our peers with so it’s not like the demand isn’t there because it is but again does it have longevity? I don’t think so in it’s current incarnation. I think as consumers it will come to a point where we need more honesty in the market and fresh ideas will gain more traction (whether they keep original is up for debate) than repeated ideas and trends but I think for your study’s sake, anyone can still become a blogger. even if you follow every letter of the blogger bible and abide by the rules and placate every brand, a little piece of you will always come through. That persons individual energy is enough to gather a unique and loving audience, for how long is uncertain but the potential is always there. As for oversaturation hell yes! currently but there is always room to make positive and transformative change within the market. So why shouldn’t creatives take a stab at making their own space in that area?